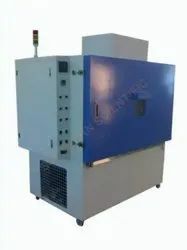 We are a leading Manufacturer of humidity chambers, temperature test chamber, environmental test chamber and elevated hot tensile chamber from Chennai, India. 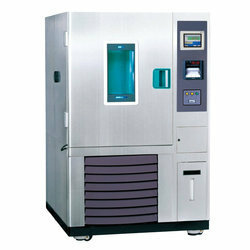 We are the growing company known for offering Temperature Test Chamber to the clients. This product is manufactured from high quality material and advanced machine under the observation of experts. Offered range is tested on different quality parameters by the quality controller to ensure free from defects. We manufacture, export and supply a wide range of Environmental Test Chambers for various segments like Automotive, Electronics, Defense, Aerospace, Steel, Leather and Power Industries. 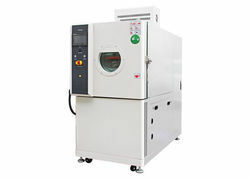 The clients can get the Environmental Test Chambers computerized and get the maximum advantage. We develop and design Environmental Test Chambers in accordance with the global standards. 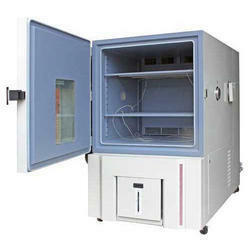 We are a reputed Manufacturer, Exporter and Supplier of Environmental Test Chambers.